Hi all, this is my first post as I am just about to enter the CS world taking ownership soon of a proper coffee machine. I will be picking up a used Bezzera BZ99S from a private seller in the next few days. The machine has apparently been well looked after before, but has not been used for around 5 years; the seller states that he has checked functionality recently and it appears to be in full working order. Is there anything I should be concerned of, and what should I check specifically when I collect it to make sure that everything is in order? Thanks in advance. Last edited by Blackfish; 14th June 2018 at 10:08 PM. Morning Blackfish, welcome to Coffee Snobs. Bezzera have a good reputation, I'm not familiar with the BZ99S, I'm sure others will be able to help. Try doing a search for BZ99S, quite a bit of info comes up, search box is on the top right hand corner of the page. Can't comment on the BZ99 but I have a BZ02 which is close to 16 years old. Still doing a good job. Had a couple of 'breakdowns' but each time has been fully repairable by replacing a part or 2. I personally think Bezzera are one of the more reliable manufacturers of you're going for a used machine. Similar experience with my almost 10 year old Domus Galatea, very easy to use, reliable machine that produces exceptional espresso. Make sure it warms up. Make sure it doesnt leak when blind is in portafilter. Um....steams and hot waters ok.
Manual Machine with parts available at just about 'every cnr milkbar / fish in chippo ! When I acquired my own, it was the best single Coffee move I made, away from the Consumer machine I had. And experienced for the first time that a good Espresso Coffee can / does have its own inherent sweetness. Stooped using sugar in my cup within days. - where about the group handle locks away. it ideally should lock at '6 o'clock'. don't seek to over tighten. these will have either a round cross section G/H Seal or the Traditional Commercial Square style. Either of those can use a spacer if required. - Shower screen is held in place by a flat blade screw. these can seize in. so heat up if necessary. - On the lower RHS front is where the brew path exhausts. Some drip trays cracked in the cnr from excess heat. They dont always leak even tho cracked. allow the signal that sufficient water is in the tank. - These use an in the water tank water filter / conditioner. Replace / and or clean and recharge. Other than that if it has been sitting for 5years it may require a strip, soak clean and re-assy. You can search via Google (CS+your question) will get you a much better search result. Members - Brendogs, and BodyBoardingBum posted up substantial threads about their restorative BZ99 experiences. 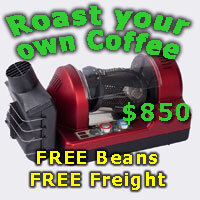 - known good quality beans freshly roasted and dated, such as Andy offers via the Beanbay. - Match up to a good quality grinder with micro metric adjustability. Understand the maximum dose (quantity and level ) for each of your filter baskets. - Use water filtered to Coffee std to ensure sediment does not further effect the boiler / internals. - Use a good quality flat base, square edged Tamper matched to your basket(s). GL and Best Wishes on your coffee journey. chippy and zeezaw like this. I am also looking into buying a grinder, I have my eyes on the new Breville Smart Grinder Pro or used Compak K6 or K8 for similar prices, Bezzera bb005, Mazzer Super Jolly,fiorenzato, and Boema / Rossi 45 a little more expensive, or iberital, and Nemox Lux very cheap, which one should I go for? I was suggesting the blind filter as a leak test as it will make the machine run up to full pressure. It may leak from anywhere, excess inside leaks will end up under the machine obviously. I suggest removing the covers and having a look inside. Many buyers of used machines have been shocked by crud growing on outside of boilers. Its not a problem to fix, but it takes time if you have the skills or money if you dont. I think it shows a responsibility of the previous owner if the machines insides are clean as the outer. A serviced machine will be nice inside. Also a leaky cruddy machine is a good reason to lower the sale price.